Most of my books are currently at deep discounts, if you use the discount code. For instance, The MI5 1/2 Omnibus - containing the first three books in the MI5 1/2 series - is only $2 if you act soon. Another excerpt from The Birdwatcher. ""Lieutenant, I think you'd better come," Stanley Charbonneau said. "At your earliest convenience, I mean," he added, when he saw the flash of worry hit his commander's eyes before he got it all nicely, properly hidden, like a good commander should. "What's up?" Ott said, as they walked down the tunnel. "And he and the men will kill me if I ruin the surprise, sir. Please don't offer to kill me if I don't. A man likes to have some way open to him to survive, sir." Ott could concede that point, but that's not to say he liked the situation. He braced himself for anything, knowing from long, hard experience that Leo Talent, the resident technical genius, had brainstorms that were all over the board, from valuable to hazardous. "I don't suppose you'd at least tell me where we're going?" he asked. "The supply depot, sir," Stanley said. "The tunnel gets a little too tight just this side of there." Ott felt like rubbing his forehead. If Leo had something too big to come through the bottleneck, it wasn't his usual sort of surprise. The man delighted in small but powerful devices, and it usually showed in the inventions and innovations he came up with. He tried to not look worried, though, especially after he saw Stanley eyeing him to see how his vague hints were being received. As they got near the supply depot, Ott heard an odd sound, but couldn't get it to register as one thing or another. He also smelled something which seemed awfully familiar, but again couldn't be sorted into something recognizable. He shot a glance at Stanley, who got an over-innocent look on his face. "I'm not in a mood for practical jokes, Charbonneau," Ott warned. "In that case, I'm glad this is just a surprise, and not a joke, sir," Stanley replied. They rounded the corner and entered the supply depot's yard. There stood Leo, dwarfed by the biggest bull Ott had ever seen, its majesty enhanced by an oversized set of horns. Leo grinned ear to ear. "Remember saying you wished we had big bulls to turn loose, sir?" he said. "Meet Puny, The Pride of the Elkhorns. Or, I should say, formerly the pride of the Elkhorn mountain region. I won him in a bet. He's ours now." Ott let his jaw drop. It was easier than keeping it up, and it seemed a reasonable response. "That's what the other guys did, too," Leo said, just about to burst with pride. A goat bleated. Ott recognized the bleating as the sound he'd heard, muffled, while just down the tunnel, but hadn't been able to place. Looking at the goat, which was standing underneath the bull's belly, he noticed manure on the ground nearby. That explained the smell. No wonder it hadn't registered. Manure was an outdoor smell. It didn't belong in tunnels. "I had to bring the goat along, sir. Puny and him are friends, and they refused to be parted. Blevins is his name. It's an inside joke, the name is, or that's what I understand. No one would clarify, but the general feeling seemed to be that somebody who deserved to have a goat named after him got a goat named after him. I decided not to press, sir. It didn't seem decent to pry, when they weren't volunteering." "Besides that, he didn't want to prolong the experience, once he realized he had to buy the goat, before he could get the bull to budge, sir," a man not of Ott's company said. The man bore rather a strong resemblance to Leo, which was a bit surprising, since Leo's family tree would make an ethnic purist have a heart attack (topside, Leo would have been called a mongrel, and would have been slaughtered for being 'unscientific'). "Meet my cousin, Kenley," Leo said. "He's been a tattletale since he learned to talk. He's less prone to it now, but he has his moments, as you can see." "Yeah, what we hear, is you won the bull for nothing, but had to pay a prize bull's price for a goat," a serviceman said from the safety of a pack of servicemen. "Laugh. Go ahead. But it's my money, and a good cause, and I didn't give up when the going got tough," Leo protested, a bit too enthusiastically, showing that he was embarrassed. "In fairness, he got a good deal on the other bulls," Kenley put in. He pointed to two animals in the back of the room that had escaped Ott's attention, as riveted as he'd been on Puny. They looked to be yearlings. "I got thinking. If we're mostly counting on baby bulls from the current herd, there might be too much inbreeding. So I brought some outside blood besides Puny, just to better the odds," Leo said. "By the way, those are also cousins, holding onto the lead ropes back there. Tim and Tom." Tim and Tom waved. Ott nodded back. "They'll be heading back as soon as we turn these critters loose. If you approve turning them loose, of course. I thought we might be able to get them out at the Meyer Stairway, if that's all right with you?" Leo said. Ott nodded. He tried to stay official about it, but gave it up. He laughed. "Leo, I don't know what to say – other than thanks, and good luck. And you have my permission to widen the stairway if you need to. Just be sure it's sturdy and sealed and hidden again when you're done." "Thank you, sir. The yearlings won't be any problem, but to get Puny through, we're going to have to get him to angle his horns and body just right, I think. We've had to do that a few places in the tunnel already. We should be all right." Ott turned to Stanley. "Send an engineering detail along, just in case," he ordered. The little pack of servicemen went to pick up tools, and got into formation. Just like that, they were engineers on duty. "We were kind of expecting you might want to send an engineering detail along, sir," Stanley said with a wink. He turned to his little gaggle of eager workmen. "Head 'em up. Move 'em out," he ordered. His men yipped and yowled gleefully in reply, the way they thought cowboys had yipped and yowled back in the legendary days of the Wild West. "Whoa. Careful there, don't get too loud or exuberant," Leo begged, gingerly waving the engineers to a standstill and silence, while the bull rolled his eyes and fidgeted. "Puny's been gentled and halter broke since he was a baby, but he's not used to being in tunnels, or around strangers, and although I know you all have a very high opinion of me, I regret to inform you that if Puny gets spooked or upset, there is nothing on or under God's green Earth I can do to control him, until he's good and ready to be controlled." ​"I can attest to that, by the way," Kenley said, leaning down to rub a bruised leg. Catching a look from Leo, he shrugged, "But, just to prove that my dear cousin's representation of me as a tattletale is bogus, I won't provide any details," he said. He grinned, and pulled on the lead rope attached to the goat's halter. "Come, dear Blevins. Let's get you and your best friend out into the sunshine again, shall we?" Here's a chapter from The Birdwatcher. .Renzo's day had gone so very well, at first. The bird count turned up exactly the birds expected for the day, based on statistics. Counts rarely did match the averages, which fact distressed the central planners, who found it impossible to properly plan when obviously-not-yet-perfected Nature refused to run like a clock. Renzo knew that sometimes the top men in the Department of Statistics for the Good of Society would adjust field reports, to stabilize the foundational data – and rightly so, if they did it scientifically, he thought – but it was pleasant to give them a report that had no need for adjustment. Besides, it made him steadier in his own mind to have firsthand evidence that the big, messy world was indeed becoming predictable, steady, and less messy. On top of that, his Lesson went especially well. It was on the glorious future, when men would be perfect, because Society would be perfect, because conditions were perfect. Today, it felt especially inspiring, because he felt it happening. On top of that, today he felt almost grown up, ready to face the world with only the occasional refresher course, instead of daily lessons. He'd been afraid he'd be nervous about growing up, and being that much on his own. But, no. He was, indeed, nearly ready. Feeling altogether too inspired to stay inside, and also indulging an urge to see if the cattle herder was somewhere he could see her, he took a walk. He found the first wildflowers of the season; just a handful of small blooms, but, still, they were flowers after a season without any. He noticed then that the air still had the smell of upwind snow, but today there was overlay of fresh plant smells, and an earthy aroma almost like cooked food. He realized that he'd been seeing greening grass here and there for a couple of days, without it fully registering. He got on his hands and knees for a closer look at the ground. There were seedlings of various sorts, very tiny yet, mostly in areas that got the most sun. Also, there were barely noticeable bumps that signaled a seedling pushing up, but not yet breaking through. Applauding himself for his powers of observation, he went hunting for the cattle herder, or, rather, for a look at her. It would never do to initiate actual contact, unless instructed to do so – or, unless, perhaps, another emergency arose. Despite all his careful upbringing, being a young man in the prime of life, cut off from a setting that better allowed for heroics, he had something of a hope that somehow she would need his help again. He dutifully dressed this hope up in the proper costumes; he would, of course, be serving Government and Society and History and Order first of all, by helping her. She wasn't anywhere to be seen. Cattle were huddled near the haystack, as expected – but he fancied that it wasn't just to remain close to the food. He'd learned, so he thought, to find Julia by taking hints from the herd. The hints were that she was close by. But he didn't see her. It being a pleasant day, with more bird activity than deep winter had offered, he set up, on the spot, for a Supplemental Study, which was a fancy way of saying that he recorded the time, his location, and the weather, and then his observations of birds. Unlike in a regular count, he could linger on any birds he saw, for as long as he wanted, just as long as he made some notes. Between bird observations, of course it wouldn't hurt anything to unofficially glance down the hill to see if his neighbor was in view. Soon, it was time for his neighbor's supplies to show up. He shifted to where he could study the area around her hut. She still wasn't anywhere to be seen. He imagined her slipping into the river and drowning, or breaking a leg in a gopher hole, or being hauled off by wolves. Just about the time he was ready to burst into action just for the sake of bursting, the helicopter showed up. He hid where he could watch proceedings without being seen. Not only did the herder not show up – it was unheard of, to not meet your suppliers – but, even more impossible, men attacked the helicopter, killing one pilot, and forcing the other to fly to behind the haystacks. They even taunted the surviving pilot, with their leader sticking his hands in the air in mock surrender, before forcing the pilot to do their bidding. The barbarians! Renzo started to report it, but hesitated as he waited to see what would happen next. The hesitation proved disastrous, letting doubts creep in. He became afraid to get mixed up in it; afraid, too, that if he reported it, they'd find out that he'd been indulging the temptation to sneak out and spend time watching his neighbor, just to watch her. There was no explaining that away, as far as he knew. He was pretty sure it was a serious offense, too. Why would men and women be kept separate, if there wasn't a good reason for it? His hidden photographs and note sprang to mind; another good, very good, reason to not bring attention to himself, those were. Besides, perhaps he had it all wrong? Perhaps the assault team had been government agents? That seemed more likely than barbarians being on the loose in this day and age. It would never do to report government agents who were simply doing their duty. He waited for the helicopter to rise into the air again, but waiting became insufferable. He snuck out of eyeshot, bolted for his cabin, and closed the door a little too strenuously behind him. He erased the records from his aborted Supplemental Study, since they showed that he'd been outside at just the wrong time. He closed the curtains, to give himself a further excuse for not having seen anything going on outside. He collapsed on the bed, flattened with indecision. Should he report what he'd seen? What would he say? How would he say it? It was impossible. Perhaps he'd not seen what he'd thought he'd seen? It was, after all, impossible. If he reported it, how would he explain his failure to report it immediately? His head spun. His stomach churned. The contraband hidden behind the portrait of Greenley the Third ate away at him with fresh vigor. He wanted to destroy the photos and note now more than ever, but now, more than ever, he didn't dare, for fear that the herder would show up while he was doing it, or that someone would show up to investigate the incident of the helicopter hijacking, and catch him. ​After a period of torment, Renzo belatedly remembered what he had been taught since childhood. If something didn't line up with official policy, he was supposed to adjust his memory, trusting that reality was better understood by officials. This wasn't a textbook case of when a person should adjust his memory, but it was close enough to suit Renzo, given his present mood and circumstances. Soon, he had his stories, and thus his thoughts, into better order. The impossible theft of government property hadn't happened, much less in front of his own eyes. The herder, who presumably always was there to receive her supplies, was presumably there today. There was no need to fret about the hidden photographs, because of course it should never have occurred to him to look behind a portrait, much less a sacred one, so he was innocent of that offense. He was a good Citizen Officer. He was a good Citizen Officer, indeed. Tomorrow, and the day after that, and for however long he lived, he could aim to be the best Citizen Officer who had ever been assigned to this cabin. He fell asleep resolved to achieve that aim. But, of course, we all know how hard it is to keep resolutions (especially for men like Renzo). Giveaway ends August 28, 2017. This is set in an imaginary future, where oppression has sent freedom-loving people underground for generations, but some of them are itching to break free and live above ground again, ready or not, and despite the fears of the people who have become comfortable just avoiding the government. ​Other books in the series are The Smolder, The Unexpecteds, The Hidden, Notes From Hiding, and The Historian. Realizing that for internet sales, while some customers are in the middle of summer others are in the middle of winter, Smashwords is having a Summer/Winter sale (ends at the end of July). Most of my books are included, at different levels of discount. For instance, The Unexpecteds, usually $3.99, can be purchased for $1.00 if you use the 75% off discount code. Other books in the same series as The Unexpecteds are The Smolder, The Birdwatcher, The Hidden, Notes From Hiding, and The Historian. How you view other human beings matters, not just to them, but to you. Anthony Esolen has an excellent discussion about that in the article "No Country for Young Children." I'm tempted to pull a bunch of block quotes, but it's the sort of essay that if you look at just one part, you might miss the whole. So, I think I'll just encourage you to go read the whole thing, over at Touchstone. If you like, and if you are in the US, you can enter to win a trade paperback copy of The Birdwatcher, or a trade paperback copy of Why We Raise Belgian Horses, over at Goodreads. ​The Birdwatcher is one of the books set in "The Smolder" - a time when freedom has been suppressed for a long time, but the totalitarian rulers are about to lose some of their grip. In this dystopian world, the government has selectively sorted people into not just races, but breeds, each with its own assigned duties, and with its expectations on how each member of that breed should act and think. When I started the series, groupthink in our society was something of a problem, but I think it's become worse, at least in those sorts of people who get themselves in the news, or who teach at universities, or who work in government. Not good. Other books in the series include The Smolder, The Unexpecteds, The Hidden, Notes From Hiding, and The Historian. 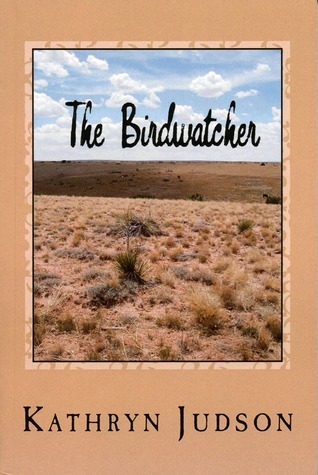 ​The Birdwatcher giveaway ends August 28. 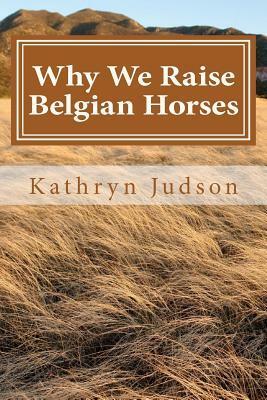 The giveaway for Why We Raise Belgian Horses ends October 3 (to coincide with the anniversary of the release of that particular trade paperback edition). But if you like to enter giveaways, why don't you go sign up while you're thinking about it? Isannah Here, part 5 of 5 in the Notes From Hiding serial, is scheduled to be free for Kindle Tuesday, July 18, and Wednesday, July 19. ​If you are enrolled in Kindle Unlimited, you may borrow any of the books in the Notes From Hiding series between now and mid-September. (You may also borrow Trouble Pug, which is also in the Kindle Unlimited program for a limited time.) But tomorrow and the next day, anyone may 'buy' the Kindle edition of Isannah Here for free, for keeps (as we say around here), in any country in which the offer is valid.